Provide comfort for the family of Elizabeth Bucknam with a meaningful gesture of sympathy. 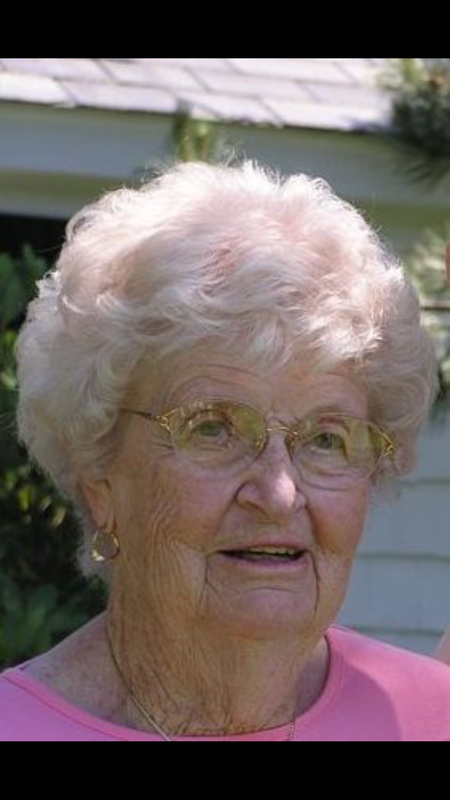 HOLLIS, New Hampshire -- Elizabeth Marsh (Barker) Bucknam, 101, died Wednesday, March 20, 2019, at home in Hollis. She was born March 5, 1918, in Hudson, New Hampshire, the daughter of Edith (Marsh) Barker and Walter L. Barker. She was raised in Nashua and graduated from Nashua High School in 1935. She attended Syracuse University and Chandler School for Women in Boston. In 1940, she married Gilbert Bucknam in Nashua. She was a member of the King's Daughters Benevolent Association, the Anna Keyes Powers Chapter of the Daughters of the American Revolution, and served on the board of directors of the former Norwell Home and Merrimack Valley Home Health/Visiting Nurse Association. She was a former member of the First Church Nashua, Congregational U.C.C., and a member of the Congregational Church of Hollis. The family is grateful for the care provided by Dr. Peter Hacker and Dr. Karyn Libby, as well as the support provided by Home Health & Hospice Care and the Hollis Fire Department, which allowed her to remain at home. She was predeceased by her husband, Gilbert, on April 5, 1995. She is survived by six children, Martha and John Brogan of Freeport, Maine, Allan and Joyce (Guest) Bucknam of Nashua, Richard and Susan (Corthell) Bucknam of Portsmouth, Roger Bucknam and Martha Fraser of Hollis, Anne and David April of Hollis, and Elizabeth Bucknam of Hollis; 19 grandchildren, Michelle and Robert Grogan, Kimberly Bucknam and Mark Salzstein, Michael Fraser, Elizabeth Brogan, Kristen and Mike Mather, Jeffrey Bucknam and the late Beth (Theken) Bucknam, John and Louise Brogan, Kathleen Brogan, Steven and Jessica Bucknam, Gilbert and Abigail Brogan, Benjamin and Sharron April, Kelly and J.W. Hardy, Christopher Bucknam, Alyssa and Gregory Coutreau, Gregory April, Timothy and Lisa April, Thomas Bucknam, Alexander Bucknam, and Emma Mariany; 19 great-grandchildren, Shana, Erica, James, Anya, Sarah, Jeremy, Brian, Elizabeth, Nathan, Rachel, Eleanor, Audrey, Jack, Tyler, William, Andrew, Nathan, Lindsay and Nora; three great-great grandchildren, Ryan, Alexis and Madison; a brother, Allan Barker and his wife Dorothy of Nashua; a sister, Susan (Barker) Moran and her husband Edward of Bedford; and a number of nieces, nephews and cousins. SERVICES: Internment will be private. Calling hours will be on Saturday, March 23 from 2:30-5:30 pm at Davis Funeral Home, One Lock Street, Nashua, NH 03064. In lieu of flowers, donations may be made to Home Health & Hospice Care, 7 Executive Park Drive, Merrimack, NH 03054, or Hollis Fire Department, 10 Glenice Drive, Hollis, NH 03049. (603) 883-3401. “ONE MEMORY LIGHTS ANOTHER”. To send flowers to the family of Elizabeth Marsh Bucknam, please visit our Heartfelt Sympathies Store. Marge Monaghan and The Bozzuto Family have sent flowers to the family of Elizabeth Marsh Bucknam. Our Condolences to Allan Bucknam and family. From Cheryl Trudeau and family. Marge Monaghan purchased the The FTD Deepest Sympathy Arrangement for the family of Elizabeth Bucknam. Our deepest sympathy and your family is in our thoughts and prayers. The Bozzuto Family purchased flowers for the family of Elizabeth Bucknam.